Tour Highlights : villages of Riquewihr, Ribeauville and Kayserberg, castle of Haut Koenigsbourg, Alsace wine road, pass of Guebwiller and Ballond d'Alsace, Triberg and Todtnau falls, WWII german camp of Struthof, Black forest scenic roads. You will start this day of ride by the most beautiful roads of the regional Park of the Vosges mountain. After the Guebwiller pass you will reach the listed village of Eguisheim. You will end your day in Todtnau after a stop at its huge waterfalls. As a European crossroad, Alsace invites you to travel. 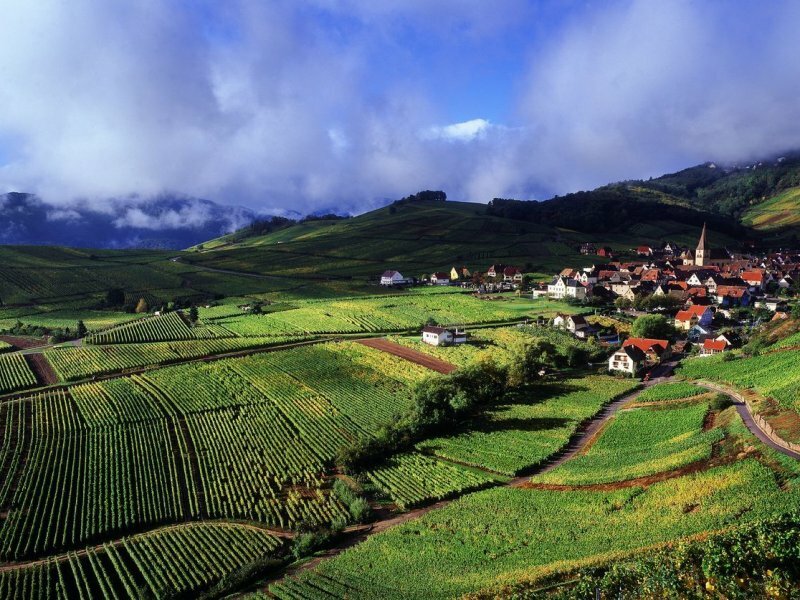 The legendary Alsace wine route winds between the Rhine plain and Ballons des Vosges, a region dotted with colorful, picturesque villages. You can enjoy a late harvest Gewurztraminer or a Sylvaner, dive into history by visiting the majestic castle of Haut-koenigsbourg, or lose yourself in the cobbled streets of the old city. But what will really turn your head will undoubtedly be the Ridge Road. Located at the heart of the Vosges, this imposing route from the First World War era passes over the 1424 meter high Grand Ballon and the Schlucht pass, while offering views of lakes and forests. Breathtaking !.